After sleeping in and a hearty meal (with inspirational guests), we departed for Morgan Hill, CA – where the initial qualifying round-robin portion of the tournament was played. In 95 degree midday weather, Caleb’s team took the pitch for its first game against the first of 3 California club teams. Notwithstanding some apparent heat exhaustion (and nausea by some of the boys), Caleb’s team played well, but loss on a couple of careless mistakes. It was a good effort, but unfortunate. Mid-afternoon, Caleb returned to the team hotel for to unwind with his teammates, while Janelle, Anthony and myself went into central Morgan Hill for lunch. While the community has the appearance of placeless California suburb from the freeway, downtown Morgan Hill was actually attractive and boasted some great restaurants. We surveyed our options and settled on lunch at the “Good Fork.” We were delighted! Opened just one month, the former French Laundry sous chef had opened the Good Fork as a farm-to-table restaurant outside the bustle of the central bay area (and he was succeeding). 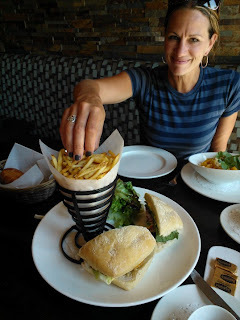 Highlights included Organic Sirloin Burgers with Candied Bacon, Truffle Fries and a Golden Beet salad. It was splendid and surprising inexpensive. One of the best lunches I have ever enjoyed – hands down. This is a must revisit on a future Bay Area excursion. Late afternoon, Caleb and his Seattle United teammates returned to the pitch – this time on natural turf. Notwithstanding a solid performance by his team, a couple of careless mistakes resulted in a close loss. It was a disappointing start to the tournament, effectively ensuring they would not advance to knock-out rounds. Sadly, they weren’t beaten – they simply lost. Caleb returned to the team hotel for the evening, and we departed for Sunnyvale to meet close friends for dinner. Matt and Kristin met us on Murphy Street for dinner. If you’re seeking a Bay area cultural experience, I suggest avoiding this area of Sunnyvale (it offered little character and presented a faux experience). We did manage to get some good food at DishDash – a Mediterranean restaurant with Turkish/Lebanese inspired menu. Following a good meal and conversation with our friends, we retired to the Fairmont Hotel to watch Olympics coverage. After sleeping in on Saturday, we worked out at the Fairmont Hotel gym, and made a quick exit to Morgan Hill (stopping by Bijan Bakery). Caleb’s third game was another despairing loss, despite a relatively well-played match. Small mistakes compromised the team’s collective effort and resulted in a frustrating loss. Bummer! Afterwards, we jettisoned for Santa Cruz via a local route (Heckler Highway) that offered some splendid scenery and farms. We fought cross-city traffic at this coastal getaway, to arrive at the Santa Cruz Mountain Brewery. Matt & Kristin met us for a pint of beer and street vendors dogs (mistake!). While my stomach wrestled to digest a “hot dog”, we scurried to the beach to find a patch of sand to briefly soak up the sun and surf. In San Jose that evening, the Seattle Sounders played the San Jose Quakes at Santa Clara stadium. We dropped Anthony off to join Caleb (and his teammates), while Janelle and I spent the evening together – alone! We dropped the car at the Fairmont Hotel and walked to Mezcal to unwind. Beyond the ambiance, the restaurant offered nothing memorable in terms of food or drink. Nonetheless, Janelle and I relished the time alone to catch up on our trip experiences. The boys taxied home from the game, and we all crashed in bed with intentions to depart for Seattle in the morning. After an early rise, we packed the car at the Fairmont Hotel valet (saying hello to the Seattle Sounders as they too departed). We drove north to Vacaville, CA to meet our extended family, Peter and Erika, for a quick visit and coffee. Although the visit was short, it was great to catch up in person. 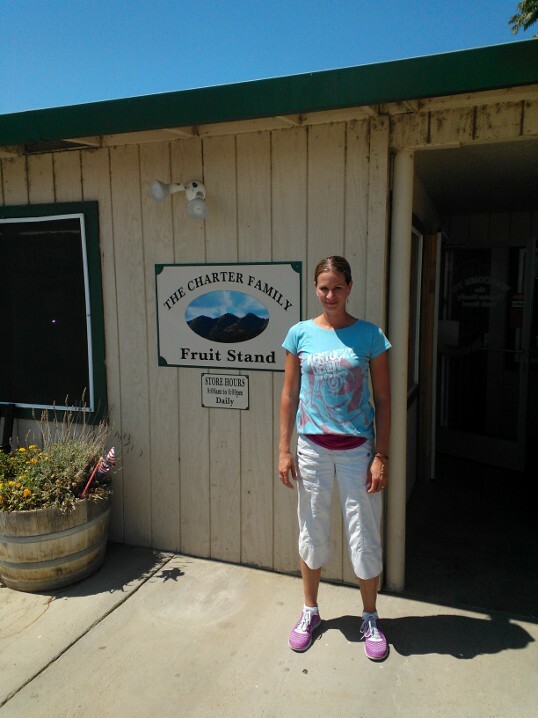 En route home, we pulled off in Williams, CA for a 5-mile detour to the Charter Family Fruit Stand to pick-up fresh produce (which I had promised to Janelle). 200 miles later we made our last California destination, the Liquor Wholesale Warehouse to pick up desired spirits (sans tax!). We pressed ahead and arrived in Eugene Oregon that evening around 730pm for dinner at a local college pizzeria, before completing the remainder of our drive to Seattle (arriving at 100am)! Sleeping in our own beds made it worth the 12-hour return drive home from San Jose to Seattle. Despite a disappointing soccer performance, our family experiences in the Bay Area made the trip well worth the effort and solidified memories to last a life time. Life is short – make it count!